One of the best cheap Bluetooth speakers gets even cheaper. 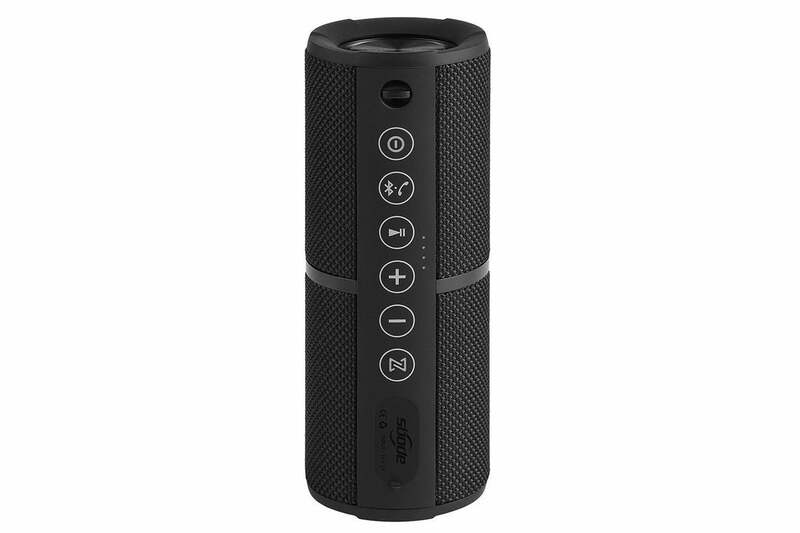 These days, it seems there are more Bluetooth speakers on the market than songs to play on them, and finding a good one for a good price can be tricky. The Sbode M400 Bluetooth speaker, one of our favorites, fits the bill: It's normally only $50, looks good, and is packed with high-end features. And today on Amazon, it's even cheaper. With this coupon, you can get 20 percent off the Sbode M400 Bluetooth speaker today while supplies last, bringing it down to just $40, the lowest price we've ever seen. The Sbode M400 has a rating of 4.6 stars out of 5 on Amazon with nearly 450 reviews, and that high score is well-earned. First off, the Sbobe is weather-resistant, so it can withstand a downpour, and it also has a built-in FM radio. Beyond its obvious Bluetooth compatibility, which makes it great for streaming music from your phone, this speaker can also play music from a microSD card, an uncommon but very cool feature for such an affordable speaker. It's also stylish, with easy-to-use buttons and a classy design. The sound quality doesn't quite live up to its feature-set, especially if you like your music to have booming bass. Still, this speaker is a solid offering even at its normal price point. In our own TechHive 3.5-star review, Jon Jacobi wrote: "As it stands, it's certainly the best $50 speaker I'm aware of." And this sale just sweetens the deal. For speakers with fuller sound, you can check out our roundup of the best Bluetooth speakers, but if you want a cheap speaker with lots of features, grab the M400 today.